When I teach theatre history courses, I always begin by asking the question, “how do we know what we know?” This invites discussions of “the stuff” of theatre history. What constitutes an artifact? How do artifacts tell stories? Whose stories are told and, often more importantly, whose stories are NOT told and why is that? Or, as one of my favorite theatre historiographers once wrote, “Every artifact has its codes that we must learn to read” (Postlewait 39). 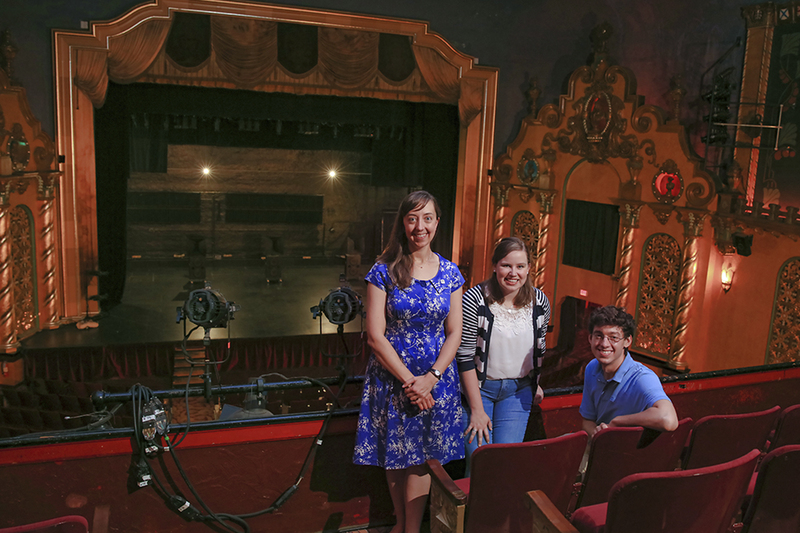 As we embark upon the yearlong celebration of the Smith Opera House’s 125th anniversary, we thought it might be helpful to share with you how we know what we know about the history of this glorious theatre. Throughout the summer of 2018, Gretty Hollister, Austin Jennings, and I conducted historical research on the building and its legacy in Geneva and within the region. It quickly became apparent to us that there was far more information available than we would ever be able to absorb in one summer. Along the way, many individuals helped us on our research journey. Most of the sites (both digital and physical) are open to all so we’ll start by sharing how a few of them were especially helpful in crafting these blog posts as well as the script we use in our historical tours of the building. 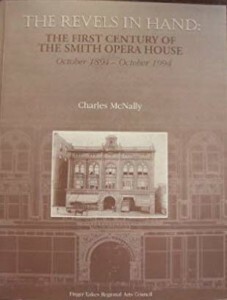 • The Revels in Hand: The First Century of the Smith Opera House October 1894-October 1994 by Charles McNally. 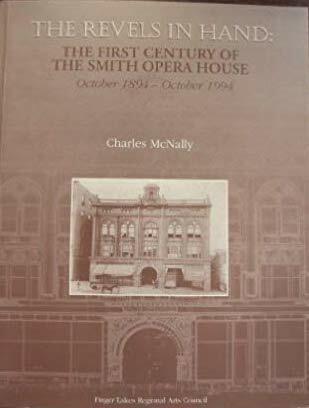 Written in anticipation of the centennial of the building, Charles McNally’s book served as our touchstone throughout this process. Culled from archival research and interviews, McNally’s study offers a narrative timeline for the first 100 years of The Smith. • The Smith Opera House Archives. The third floor of The Smith is home to an office suite equipped with filing cabinets and bookshelves filled with ephemera and business records, mostly from the 1980s and 1990s. discoveries was an almost complete collection of theatrical programs from the very first season of the opera house. • Hobart and William Smith Colleges Warren Hunting Smith Library Archives and Special Collections. The long legacy of collaboration between HWS and The Smith has been documented in various items housed on campus. And, of course, both William Smith College and The Smith Opera House bear the name of the same local businessman and philanthropist! • Cornell University Library Rare and Manuscript Collections. Visitors to the Rare and Manuscript Collections have the chance to peruse the papers of Pierce and Bickford, the architectural firm from Elmira, NY that designed the original buildings that housed the opera house. (Yes, buildings! More to come on that later!). • Geneva Public Library. The local history section of the Library features many histories of Geneva and the surrounding areas as well as useful items such as city directories. 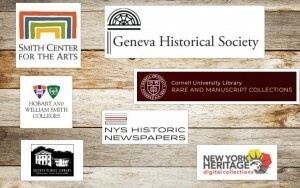 • New York Heritage Digital Collections. 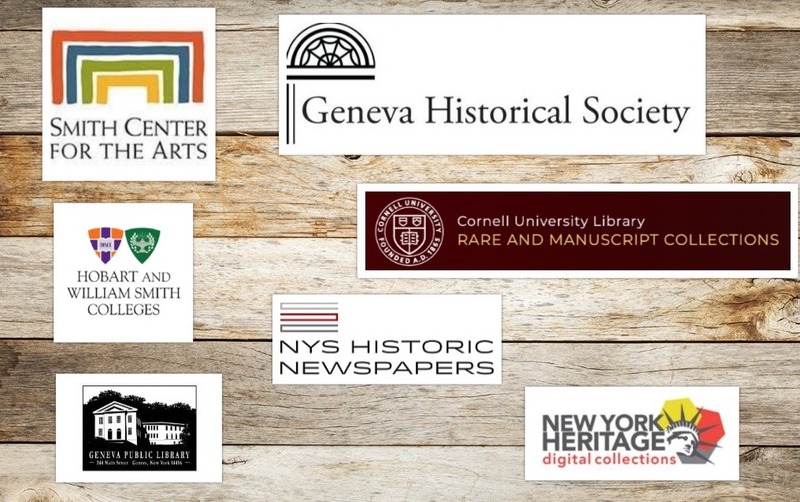 Created in collaboration with a number of organizations and agencies, including the Geneva Historical Society and the Geneva Public Library, this website is a treasure-trove of images and archival documents. • New York State Historic Newspapers. Before the Finger Lakes Times, Geneva was home to several other newspapers. Visitors to this site can read digitized newspapers dating back to the early 19th century. • YOU! Since late June we have been leading weekly historic tours of The Smith. We quickly learned that everyone has a Smith Opera House story. Sometimes those anecdotes and memories have inspired our research. Do you have more stories of The Smith you’d like to share with us? Then please email and let us know (cwoodworth@hws.edu). This project began with a series of questions (many of which we still have not answered) and even more emerged along the way. Over the course of the next year we will share with you the breadth of the history, ranging from some of the uglier facets of our past to the the many moments in which The Smith was a site for community celebration. We hope you enjoy the next 50 weeks of historical blog posts! 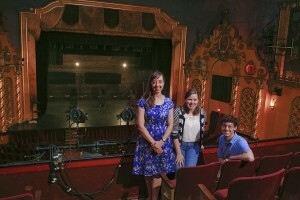 Research team Dr. Chris Woodworth (left), Gretty Hollister (center) and Austin Jennings researched the Smith Opera House history, presented weekly in this blog. Photo by Kevin Colton. Postlewait, Thomas. “Constructing Events in Theatre History: A Matter of Credibility.” Theatrical Events: Borders Dynamics Frames. Vicky Ann Cremona et al, Eds. Rodopi, 2004: 33-52.